OK, is it weird to blog about being blogged? Will she blog about my blogging her blogging me? When will the madness end?! 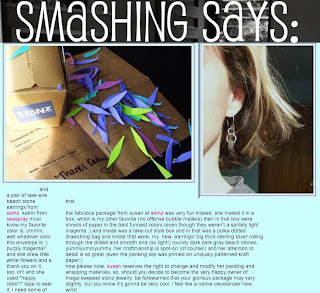 Click here to see smashing's smashing blog!